Sea View Bed and Breakfast is an award-winning B&B. 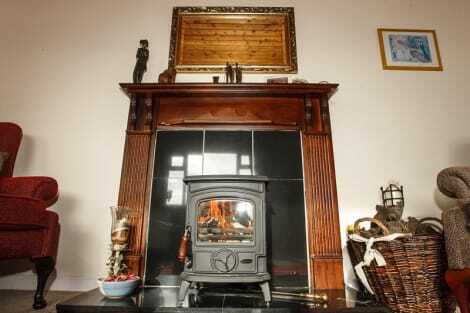 The spacious modern house is situated on the outskirts of Clifden, County Galway. A friendly welcome is guaranteed from hosts, John and Joan, who will be delighted to make guests’ stay a memorable one. Sea View Bed and Breakfast is surrounded by breathtaking scenery and John and Joan will be happy to assist guests with their local knowledge of Clifden and places of interest to visit locally and further afield. The house is clean and tastefully decorated to the highest standard. The Clifden Station House Co. Galway is located on the site of the former Clifden Railway Station, its a unique setting to relax and take a step back from the pace of daily life. The Clifton Station House wants you to enjoy Clifden and all it has to offer including its breath taking ladscapes of Connemara in Co. Galway. With that aim, we have worked hard at restoring, renovating, and continuously improving the facilities here at the Clifden Station House. Dormant Structures from the old Railway Station have been rejuvenated into Shops, a Bar, a Museum and a Theatre." When you stay at The Ardagh Hotel & Restaurant in Clifden, you'll be near the bay, within a 5-minute drive of Alcock and Brown Memorial and Station House Museum. This hotel is 13.8 mi (22.3 km) from Kylemore Abbey and 1.8 mi (2.9 km) from Alcock and Brown Landing Site. Found on the picturesque Owenglin River, Clifden was only founded at the beginning of the 19th century, making it a relatively new town. From a swelling population, through a real loss of life during a famine, this little place has plenty of local stories to discover. While you're in Clifden, make sure to see the ruins of the early 19th-century Gothic Revival Clifden Castle. This was originally the home of the D'Arcy family, the founding family of Clifden as we know it today. It's definitely worth seeing the sights around Clifden during your stay. The dramatic Twelve Bens are great for walks, and stunning to take in from a distance, while the Sky Road offers memorable views across the Atlantic Ocean. You can also see the Alcock and Brown landing site on your travels, erected in the 19th century as a memorial to these famous, aviator pioneers. If you'd like to have a truly authentic Irish night out, make sure to visit the lively Lowry's Bar, for traditional Irish food and drink. Ardagh Restaurant is great if you're after a slightly more refined, fine dining experience. The Guys Bar & Snug is always a busy spot, and perfect for a relaxing drink. To make the most of your trip, we'd recommend looking for Clifden hotels close to town. The Abbeyglen Castle Hotel is the perfect relaxing retreat, while The Clifden Station House is conveniently central, and The Alcock & Brown Hotel is a truly comforSEOSITE_LEVEL_DESCRIPTION place to stay. So whether you're after a fun and typically Irish trip away, or a relaxing break in the country, Clifden has everything you need for a memorable stay.